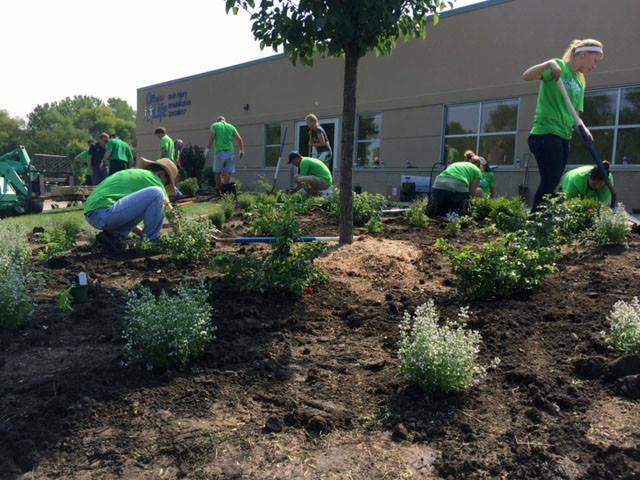 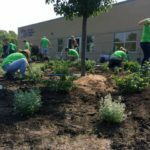 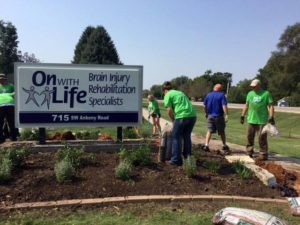 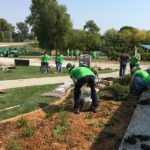 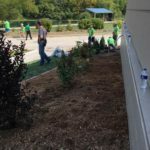 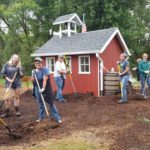 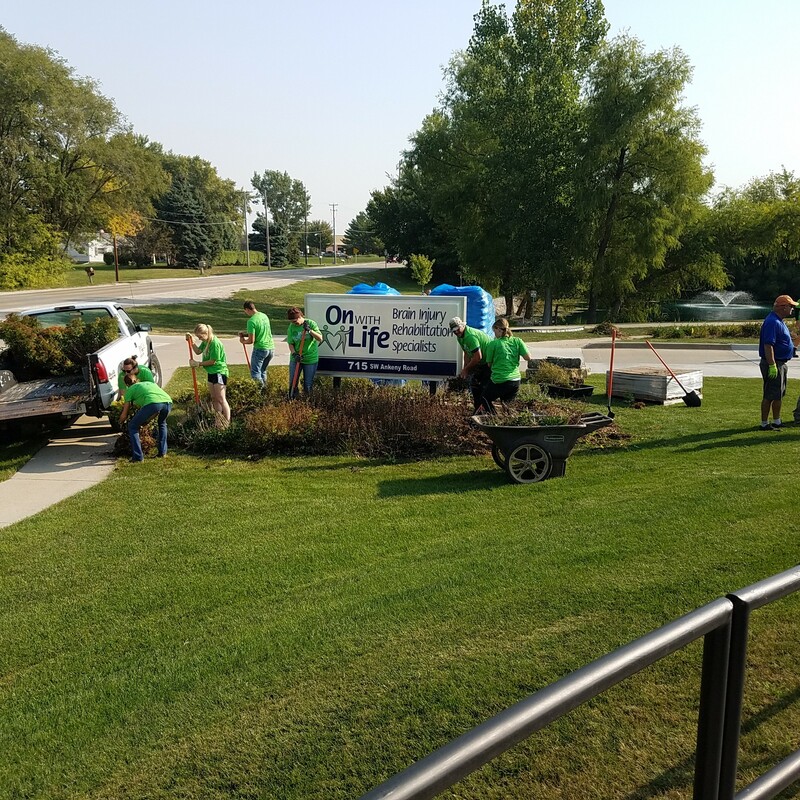 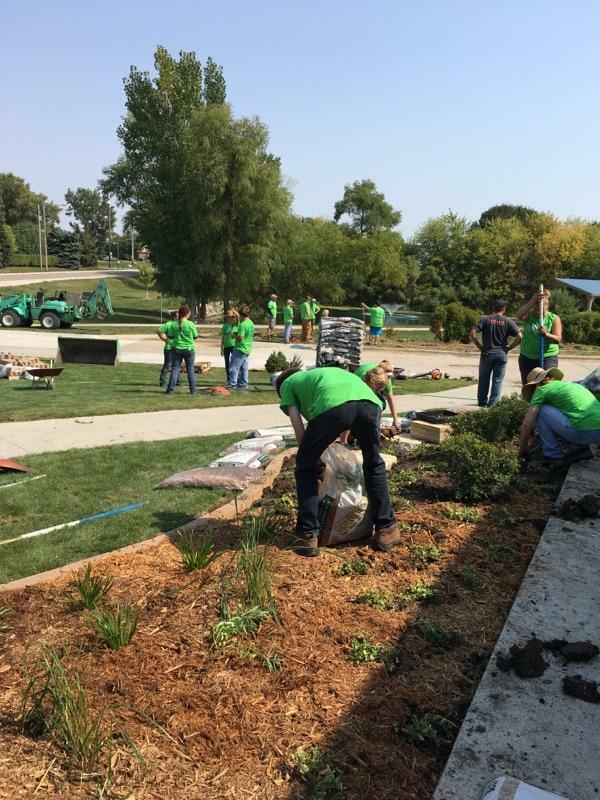 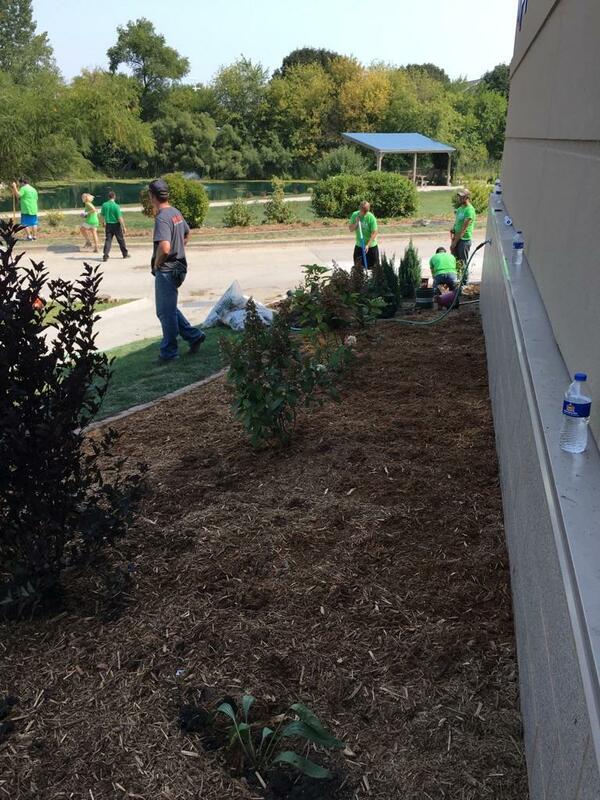 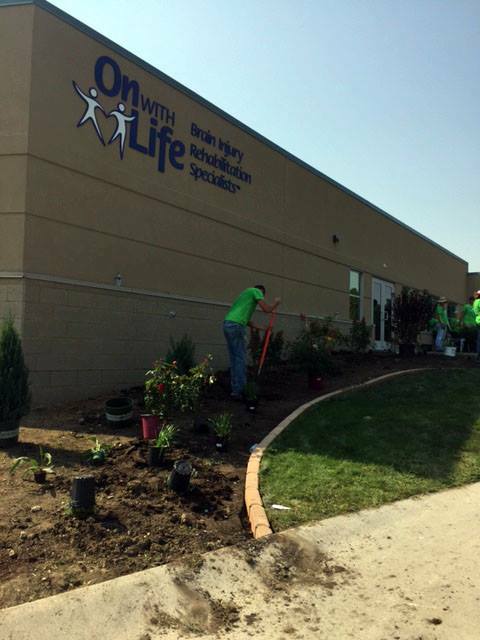 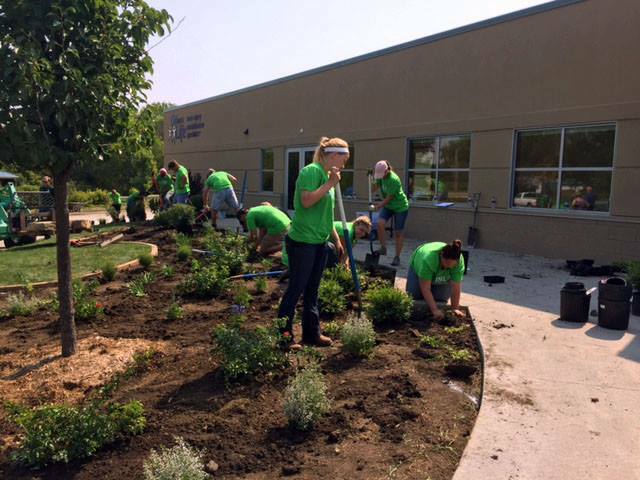 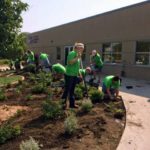 The sixth annual INLA Day of Service was held on Wednesday, September 13, 2017 at the On With Life, Inc. (OWL) facility at their Ankeny campus. 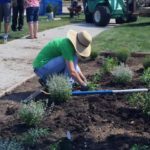 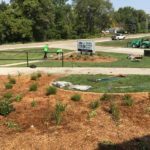 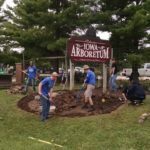 Around 30 volunteers including: member companies, DMACC and Kirkwood Community College horticulture students, as well as board members. 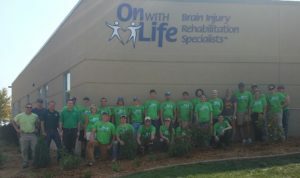 All our volunteers received plenty of food and t-shirts. 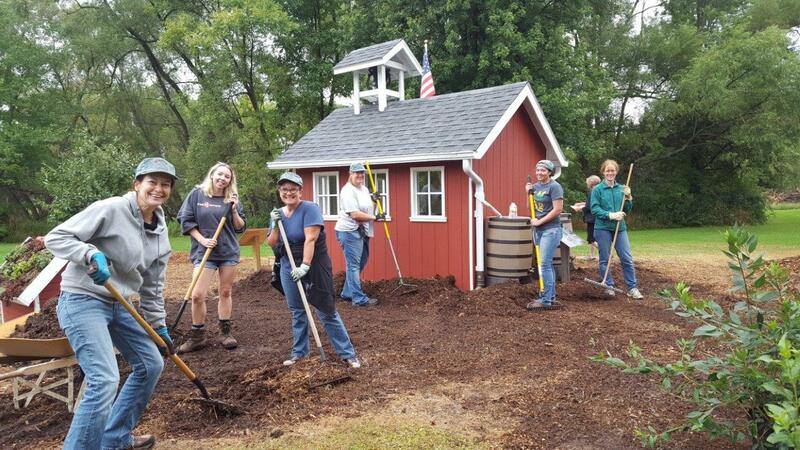 A BIG thank you goes out to Shawna Moss at Kirkwood for her fundraising efforts, Linda Grieve at PerennialGardens for the design wok for the project, and Cindy at OWL for her homemade treats! 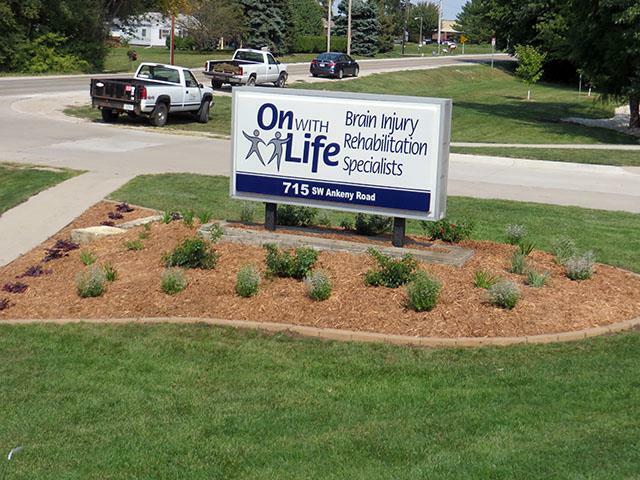 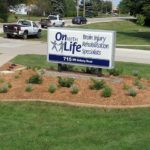 OWL is a not-for-profit organization specializing in brain injury rehabilitation. 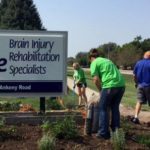 They began as the dream of a dedicated, passionate group of survivors and their families, faced with the challenge of rebuilding lives shattered by brain injury. 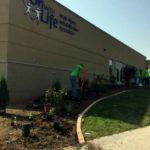 The Ankeny campus sits on 20 acres of land and was the starting point of On With Life opened in 1991. www.onwithlife.org. 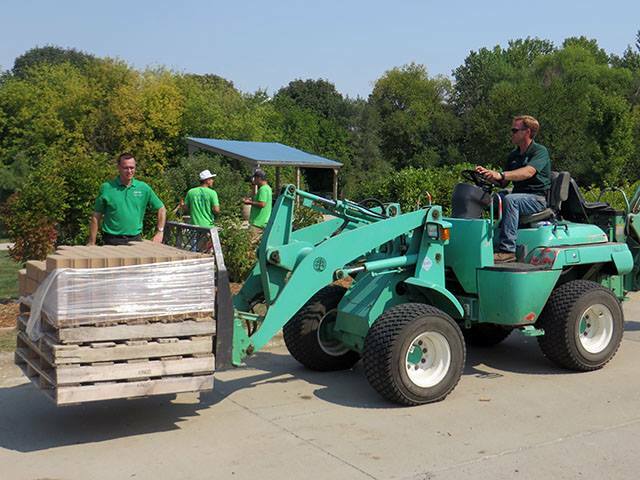 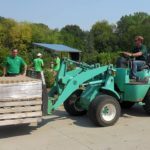 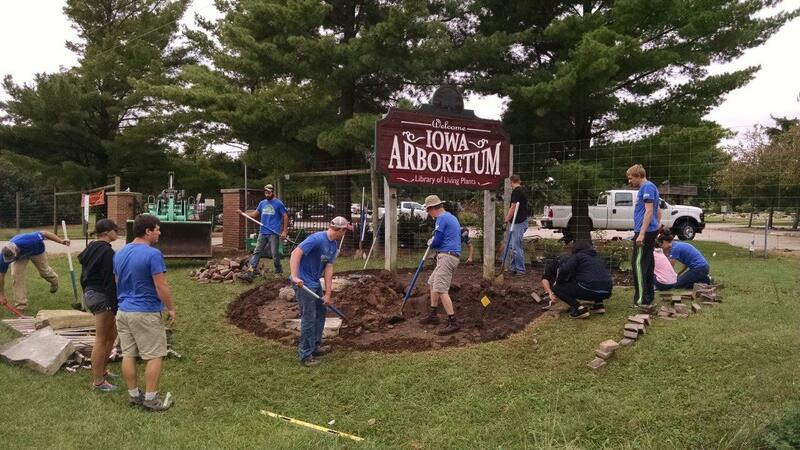 We had a great group of volunteers at the Iowa Arboretum in Ames last year! 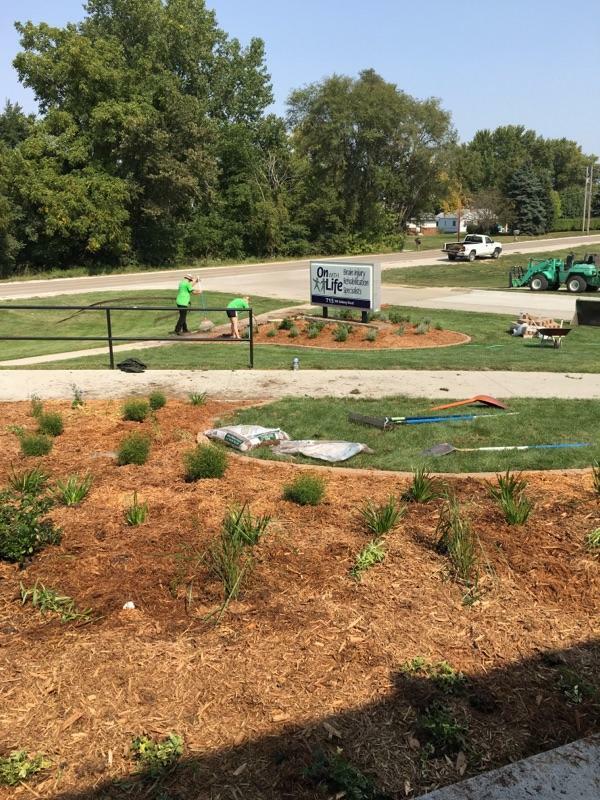 Students from Kirkwood and DMACC participated in the service day, they revamped their entrance sign area, adding pavers, mulch and creating a flagstone pathway and center piece connecting the new one room school house and children’s garden, and Landscaping the school house, complete with proper rain garden for drainage, period appropriate plants, and mulch. 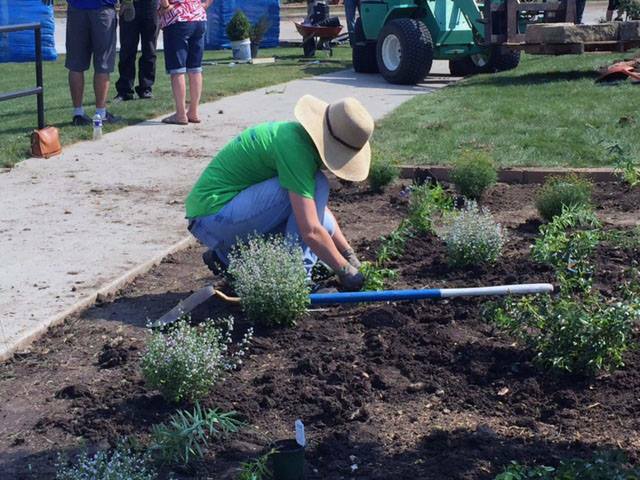 Read more about our 2016 project here>>>, view photos, watch the coverage on the Agribusiness report on WHO-TV.